when asked would give you sound advice. volunteer at the Literary Council for 18 years, and at Thrivalaska Head Start-Carol Bryce Center (Fostering Grandparent Program) for 21 years (classroom of 3,4, 5 year olds) where she was fondly referred to as "Grandma Jane". She thrived on helping the little ones who may have been away from their Grandparents. She served in the role as Mrs. Claus for many years at the west-side Fred Meyers location. 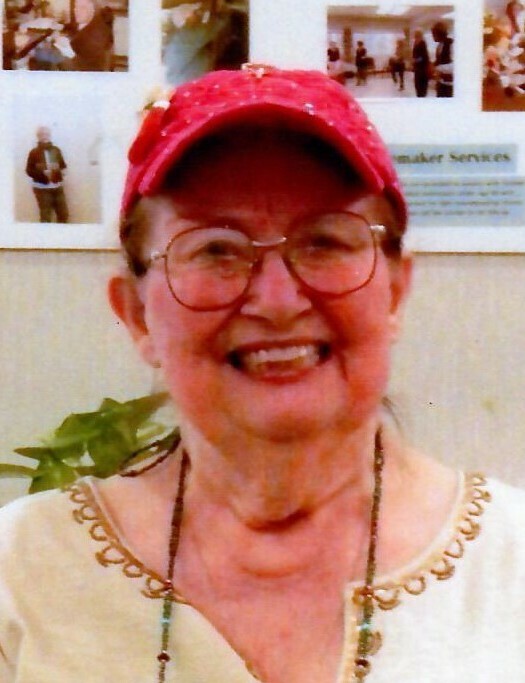 She was known for wearing ball-caps of all different sorts and from locations around the United States. Jane was a life-time member of the VFW, member of the American Legion for 55+ years, and a member of the Order of the Eastern Star. grandchildren, great-grandchildren, great-great - grandchildren. route; long-time friends Lonnie, and Geri; Charlotte Davis NP, Choice Care. A graveside service and celebration of life will be held in the Spring of 2019 at Birch Hill Cemetery. in His keeping, I have you in my heart. Sadly missed, but never forgotten."